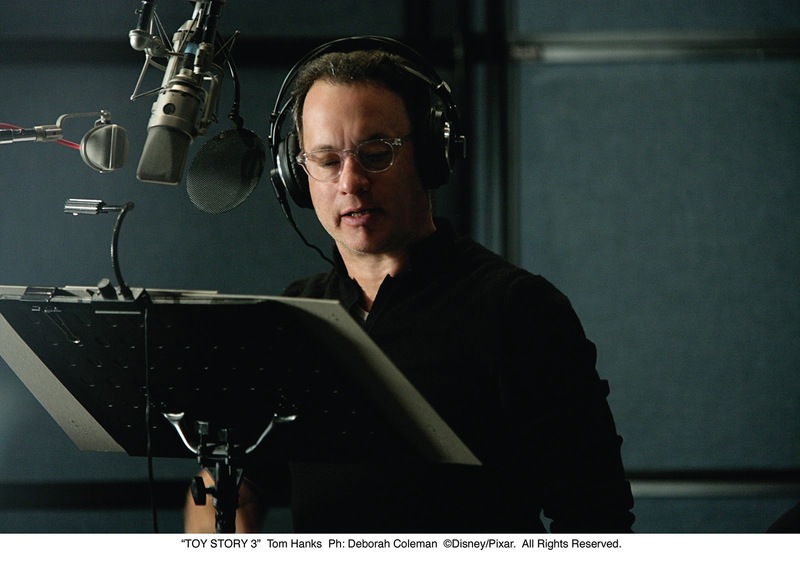 On November 2, Toy Story 3 hits DVD/Blu-ray and to celebrate this momentous occasion, Tom Hanks (Woody) took some time to discuss his character and the filmmaking process. The “Toy Story” films are beloved by audiences worldwide. What makes these films classics? The “Toy Story” films accomplish what timeless classics aim for – innocent characters who face an endless trail of adventures. We all know the likes of Woody and Buzz. We wonder who we would be if we were toys. There’s this great logic that John Lasseter and Lee [Unkrich] and Darla [K. Anderson], and all the writers adhere to that makes moviegoers just kind of relax and let themselves be transported to this magical place and time. When you can do that with a movie, it’s amazing. With ‘Toy Story 3,’ you come back to a lovely, familiar and happy place. Disney/Pixar is renowned for creating story-driven films with a heart. What can audiences expect from “Toy Story 3”? “Toy Story 3” is a big massive adventure that has you constantly on the edge of your seat. It’s part “Great Escape,” with the same kind of excitement as Dorothy escaping from the Wicked Witch of the West. And yet they take those elements and turn them into something that is very emotional. We’re talking about toy dinosaurs and Mr. Potato Head, and yet you feel for them and don’t want them to get recycled or stuck with the bratty kids. You want them to be together and played with at the end of the movie. You’re worried for their essence. The filmmakers at Pixar always manage to get you right in the heart. The story is as simple as growing up and having a guy go off to college, but it is so profoundly emotional that you can’t help but have tears in your eyes. This will be your third time playing the pull-string cowboy sheriff Woody. After all these years, how would you describe Woody’s character and what makes him so lovable? How has Woody’s relationship with Buzz evolved over the course of these three films? I love the way the relationship between Woody and Buzz has grown. They started off as pure adversaries and learned how to accept each other’s strengths, forgive each other’s failures, and respect each other as individuals. Opposites definitely attract in this case. What are some of the obstacles that Woody must face in “Toy Story 3”? There is a huge ground shift in the lives of these toys. In one scene, Woody must watch his buddies get inadvertently thrown in the garbage. It is heart-wrenching for him. Another challenge he must face is when he chooses to walk away from his toy friends because of a temporary difference of perceptions. It is a big, tough decision for him. Without giving too much away, there is this tremendous life-shattering and life-saving adventure. What other character would you like to play if you could not be Woody? Wow, that’s a very, very good question. Quite frankly, I am of the Slinky dog persuasion. I think Slinky can go places other toys can’t go and he can do things other toys can’t do because of his ability to stretch. I think that would be fun. “Toy Story” was released in 1995. What are some changes to the animation process that you have experienced over the years? For the first one, we were shown the movie through storyboards mounted on walls. So you walked into a building and about a quarter mile later you understood the movie because they literally walked you through every sequence. This time they did this brilliant thing where they just showed us the entire animatic. An animatic is a process where every voice and every sound effect is added to rough animated drawings and it lasts exactly as long as the final movie. So you actually get to go into a screening room with the rest of the cast and you get to see it all at the same time. Describe the process of working on animated films. Disney/Pixar has an amazing track record of creating animated films that achieve critical acclaim. What is the secret to Pixar’s success? The Pixar people continuously amaze me. They come up with something that actually looks as though it takes place in this happy, real-world. Every plot line is not just plausible, but oddly authentic. The stories are full of adventure, humor and love. The characters are written with great human dimension. I don’t know how they do it but they astound me. What do you think of the technological advances in live-action and animated filmmaking? Motion pictures are just beginning to live up to their true potential of being this immersive experience—going from beyond black and white flickering images to fully immersive 3D color high-definition. You don’t even know where the real world starts and the fake world begins. And yet, none of that’s going to matter unless the story and the emotions that they allow us to become invested in are something that we can recognize. Pixar is able to do this in ways that almost defies speculation. And isn’t it grand that the “Toy Story” films are such a great example of this power to deeply connect with an audience? TOY STORY 3 is Available on Blu-ray & DVD November 2nd!